Circumstances of the times draw some men into public life who otherwise might avoid its burdensand sorrows. One of these was Richard Stockton, whose wartime detention by the British contributed to his untimely death. Stockton, son of a wealthy landowner and judge, was born in 1730 at Morven, the family estate and his lifelong home, at Princeton, N.J. After a preparatory education at West Nottingham Academy, in Rising Sun, Md., he graduated in 1748 from the College of New Jersey (later Princeton University), then in Newark but relocated 8 years hence at Princeton. In 1754 he completed an apprenticeship with a Newark lawyer and joined the bar. The next year, he wed poetess Annis Boudinot, by whom he had two sons and four daughters. By the mid-1760's he was recognized as one of the ablest lawyers in the Middle Colonies. Like his father a patron of the College of New Jersey, in 1766 Stockton sailed on its behalf to Scotland to recruit Rev. John Witherspoon for the presidency. Aiding in this endeavor, complicated by the opposition of Witherspoon's wife, was Benjamin Rush, a fellow alumnus then enrolled at the University of Edinburgh. 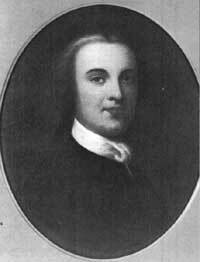 In 1768, the year after Stockton's departure, Witherspoon finally accepted. Stockton resumed his law practice, spending his spare hours at Morven breeding choice cattle and horses, collecting art objects, and expanding his library. Yet, though he had sometime before expressed disinterest in public life, in 1768 he began a 6-year term on the executive council of New Jersey and then sat on the provincial Supreme Court (1774-76). Stockton became associated with the Revolutionary movement during its initial stages. In 1764 he advocated American representation in Parliament, but during the Stamp Act crisis the next year questioned its right to control the Colonies at all. By 1774, though dreading the possibility of war, he was espousing colonial self-rule under the Crown. Elected to Congress 2 years later, he voted for independence and signed the Declaration. That same year, he met defeat in a bid for the New Jersey governorship, but rejected the chance to become first chief justice of the State Supreme Court to remain in Congress. Late in 1776 fate turned against Stockton. In November, while inspecting the northern Continental Army in upper New York State with fellow Congressman George Clymer, Stockton hurried home when he learned of the British invasion of New Jersey and removed his family to a friend's home in Monmouth County. While he was there, Loyalists informed the British, who captured and imprisoned him under harsh conditions at Perth Amboy, N.J., and later in New York. A formal remonstrance from Congress and other efforts to obtain his exchange resulted in his release, in poor physical condition, sometime in 1777. To add to his woes, he found that the British had pillaged and partially burned Morven. Still an invalid, he died at Princeton in 1781 at the age of 50. He is buried at the Stony Brook Quaker Meeting House Cemetery. Drawing: Oil, 1873, by George W. Conarroe, after John Wollaston, Independence National Historical Park.